The Alzheimer's Reading Room is the publisher of high quality expert articles and news for the Alzheimer's and dementia community. 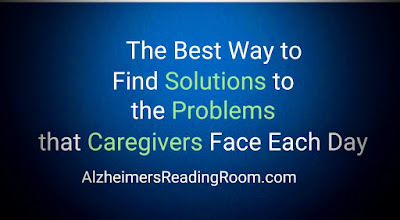 We address most of the issues and problems that Alzheimer's and dementia caregivers face. We also provide solutions to the problems that caregivers face each day. Join 42,214 active readers who already subscribe to the Alzheimer's Reading Room. This is a free service. Be first to get notified about our new articles. We help caregivers live a better life! The knowledge base is easy to search. For example, if you are have a problem getting a person living with dementia to do any of the following enter that word: shower, bath, medication, cooperation, socialization, UTI, coping or home. For one of my favorite searches enter these words - How to communicate with dementia patients. Try these searches. I think many of you will be pleasantly surprised. If you find our information useful please tell others about us in support groups or via social media. You can also send them the link to this page via email or text. We have a 98 mother whose Alzheimer's is now so severe it's tearing our family apart. Even the Memory Care section of her retirement home wants her out. What can we do?